It's been awhile for a blog but today's snack deserves a post. I had a few apples that were not going to make it through next week. We were going to feed them to the deer, but Vince suggested apple chips. Great Idea!!! 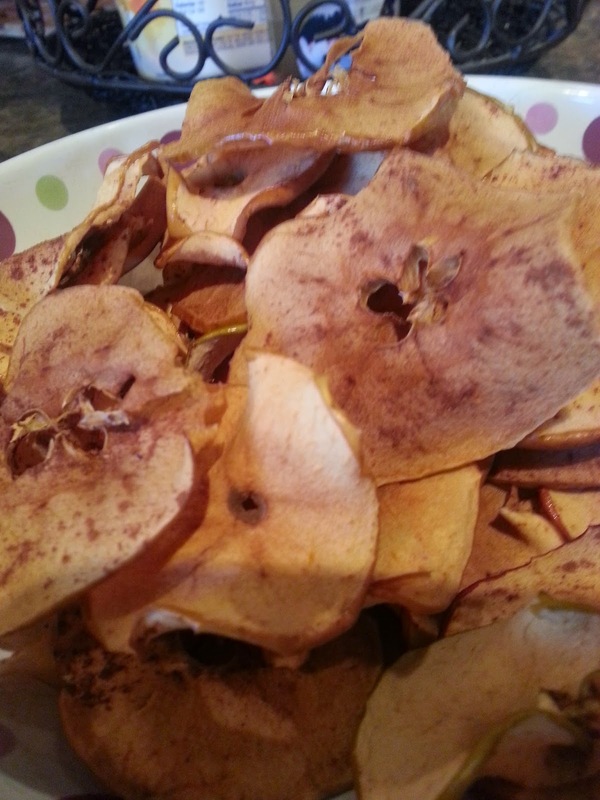 Apple Chips are simple to make, Since you are basically dehydrating the apples ion low heat in the oven, it can take up to 3 hours. 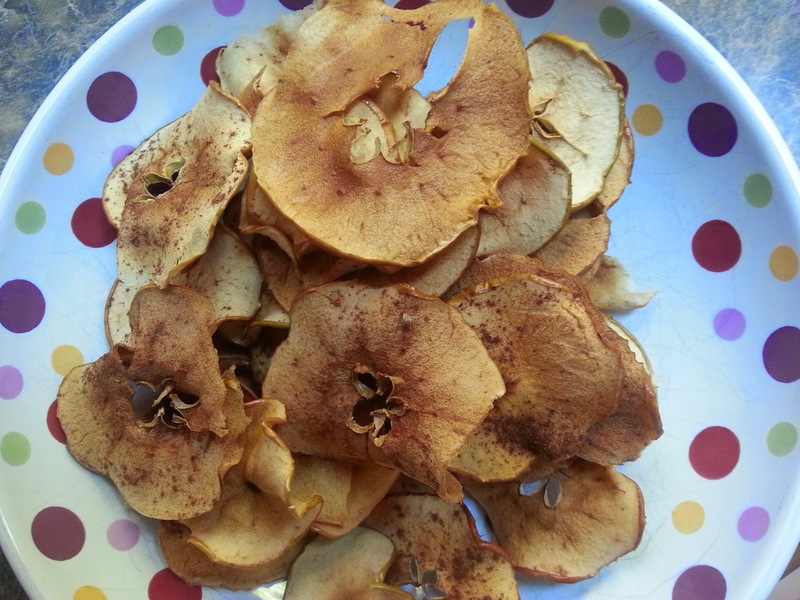 I like to make the apple chips on a weekend morning so that they are ready for a late afternoon snack. They take very little prep work, only about 5 to 10 minutes, and then you can throw them in the oven and forget about them for awhile. Start by preheating oven to 200. Then clean the apples and slice them with a sharp knife. Remove any seeds. Leave the skin on!! Slice them as thin as you can get them. The thinner, the crispier chip you get. Some of mine were thicker and didn't dry out all the way. They were still delicious but not as good as the crispy ones. 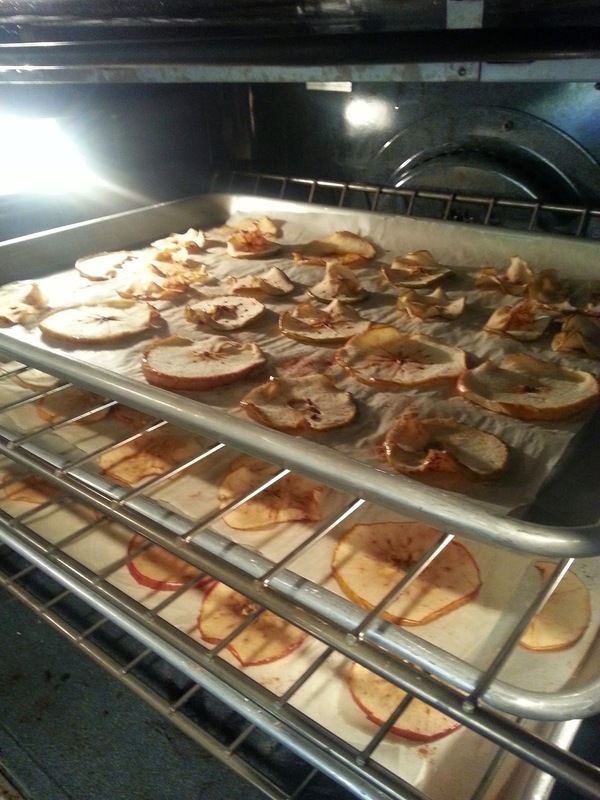 Line your cookie sheet with parchment paper and lay the apples out in a single layer. Don't overlap them. Sprinkle one side of them with cinnamon. I used an apple pie spice mix. Put in the oven for 1 hour. Turn them over and leave for another 2-3 hours. Turning them every hour.